Choosing a window treatment for your home is a personal decision just as when choosing furniture for a room. The first step is to weigh the pros and cons of many choices. In this guide, we will describe the factors regarding two window maintenance options: curtains vs Blinds. Hopefully later it will add value to the house depends on the quality of the product and installation, but each has advantages and disadvantages, the following explanation. Here’s the review. 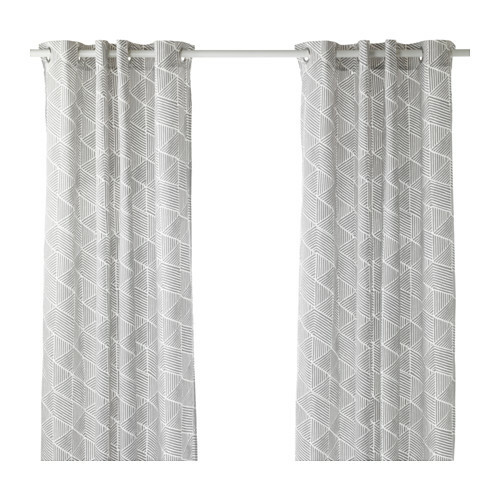 Curtains are window coverings made of lightweight fabric. You’ll find curtains in a wide range of widths, lengths, fabrics, colors and patterns; they are very versatile and a popular choice for every room of the home, even bathrooms and kitchens. In the bedroom, you’ll likely use curtains over another window treatment, such as a blind or shade, because curtains are made of lightweight fabrics – some are very sheer — and are not lined. This means that while they do filter out some light, they won’t filter out all of it, and thus won’t keep your bedroom dark on those delightful weekend mornings when you want to sleep late. Curtains hang from a rod, which can be hidden and plain, or decorative and on display, depending on how the curtains are hung. 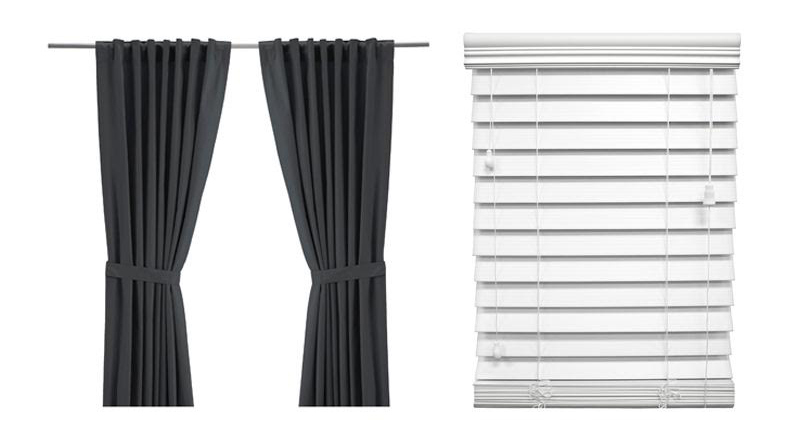 There are quite a few hanging options: metal grommets, metal or fabric rings, or a fabric sleeve on the top or the back of the curtain panels are the most common. Use colorful curtains to add a punch of contrast to your bedroom, or go with an interesting pattern to liven up the space. Sheer curtains add softness and femininity to a room. Take a look: Drapes vs Curtains. Blinds come in many styles and textures, Blinds make a room seem larger because they are less intrusive, folding out of the way more easily. 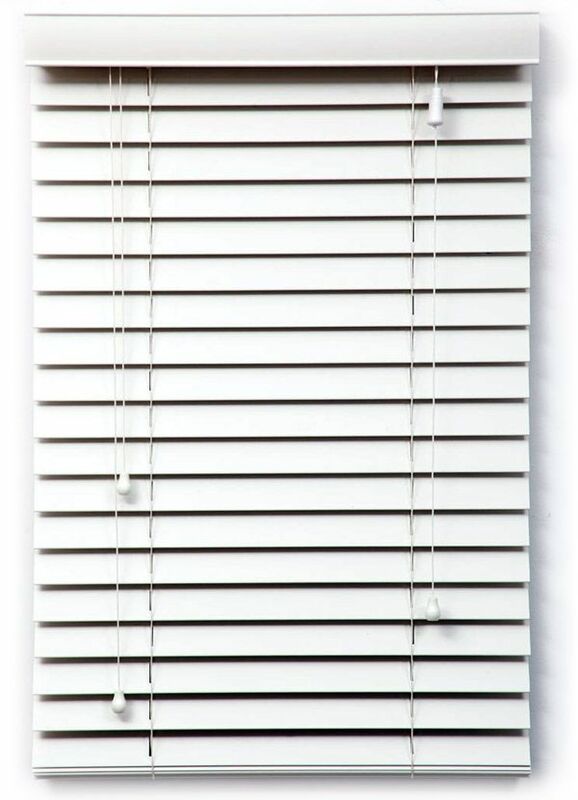 While blinds lift up and down with a cord or lifting mechanism like shades do, they differ in that blinds are not a solid length of fabric, but rather, are made of wood, bamboo, aluminum, or vinyl slats (also called louvers) that tilt open to let in light, or close for privacy. Because of this, it’s rarely necessary to lift the entire blind unless you are opening the window underneath. Blinds come in many colors and many wood tones, but are not normally patterned. As they block out light very effectively, blinds are a good choice for the bedroom. Topping them with sheer curtains or a valance softens their rigid appearance, which can be somewhat bland on its own. While blinds with horizontal louvers are most common, there are also blinds with hanging vertical slats. These are generally used on sliding patio doors or over large sliding windows. Deciding between curtains and blinds depends on the space you want to compliment and the desired purpose of the window covering. If you cannot decide because you want to enjoy the advantages of both, the best choice may be to use curtains and blinds on your windows. This way, you’ll have the best of both, because curtains and blinds has the same utility as windows treatment and barrier to sunlight, both are the best, you just have to adjust to your taste.